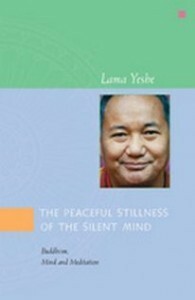 The Peaceful Stillness of the Silent Mind – Buddhism, Mind and Meditation.The six Buddhist teachings contained herein come from Tibetan Lama Yeshe’s 1975 visit to Australia. The first three are a series of consecutive evening lectures Lama gave at Melbourne University. By the third night he thought people had heard enough talk and instead offered a guided meditation. It is indicated clearly in the text and suggest that instead of reading it straight through, you pause for a few minutes after each paragraph to think about what Lama just said, as he intended. The last three teachings are public lectures given in Sydney.